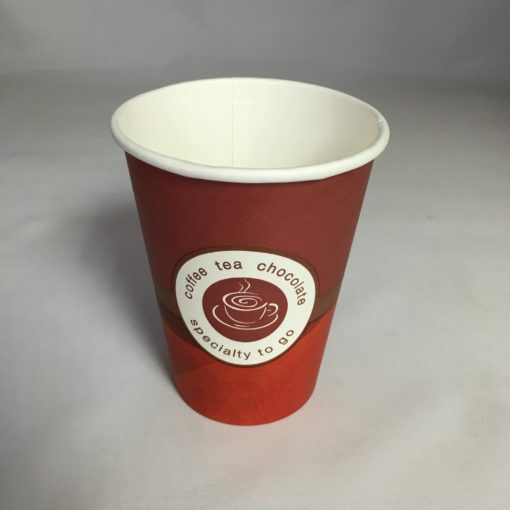 This disposable Paper Cup 12oz is a quality product made of wax coated poly paper and perfect for keeping hot drinks at the right temperature such as coffee, tea and chocolate. The manufacturer of the Paper Cup 12oz is Huhtamaki based in London, who like to keep up with the latest trends, they believe the 12oz is one of the most popular sizes in their paper cup range. The logo design is very effective and with warming colours (orange, red and brown) on the outside of the single wall thickness and the lettering reads “speciality to go – coffee tea and chocolate”. And indeed with autumn around the corner why not use the paper cup 12oz for soup for Bovril. The 412SI paper cup 12oz are sold in cases of 1000 and are very affordable and lightweight. 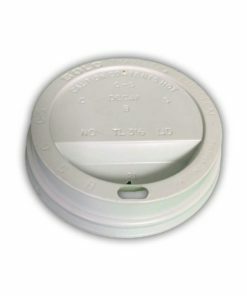 Hot drinks sold in paper cups may come with a plastic lid, to keep the drink hot and prevent spillage. We sell Lids for the paper cup 12oz separately. There are two available colours in our range, these can be found in the related products below. Please order item code for white lids TL316R and black lid code is TL316RB. The lids are a sip lid and fit securely to the cups and are also sold in cases of 1000. 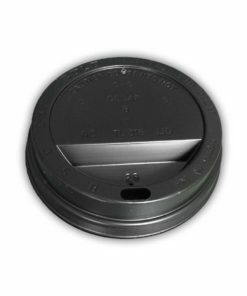 Sip lids for the paper cup 12oz are designed to prevent customers from spilling the contents whilst on the move. Single Wall cups are a cost effective solution which are a more environmentally friendly option than polystyrene cup, we would recommend Cup Sleeves if serving hot beverages in the Paper cups 12oz.